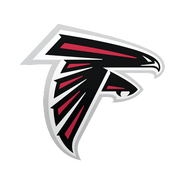 Head coach Dan Quinn said that Senat will be in the mix at nose tackle alongside Grady Jarrett and Jack Crawford, Vaughn McClure of ESPN.com reports. Senat was the unquestioned leader of South Florida's defensive line in 2017, earning first-team all-conference honors while compiling 10.5 tackles for loss as a member of the 21st-ranked rush defense in the nation. Even with a gaping hole at defensive tackle coming into the draft, Atlanta felt comfortable passing on Taven Bryan with the 26th overall pick, convinced that a stout run stopper like Senat would be available in later rounds, which he was with the 90th overall pick. Senat has a relentless motor that makes him a notable contributor in the pass rush as well, racking up a career-high six sacks during his senior campaign.